The Orbital ATK Antares Rocket, with the Cygnus spacecraft onboard, launches from Pad-0A, Sunday, November 12, 2017 at NASA’s Wallops Flight Facility in Virginia. 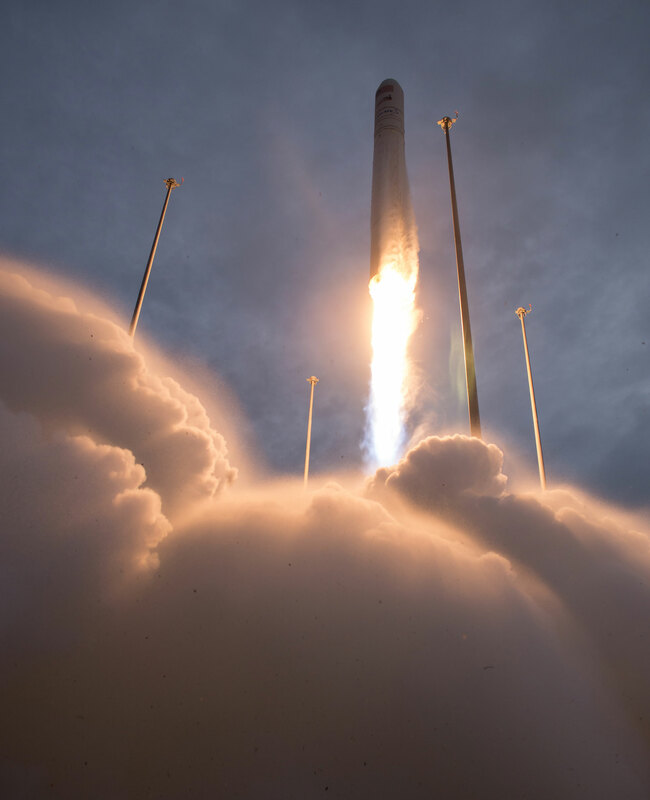 Orbital ATK’s eighth contracted cargo resupply mission with NASA to the International Space Station will deliver approximately 7,400 pounds of science and research, crew supplies and vehicle hardware to the orbital laboratory and its crew. Be the first to comment on "Orbital ATK Antares Rocket Successfully Launches From Wallops Flight Facility"